NewTek launch TriCaster Advanced Edition 3! New 6-Series Firmware v4.50 now available for download! The new Sony FS7 zoom lens, the Sony SELP18110G. PXW-FS5 FS RAW Output Upgrade License is Here! Sound Devices: firmware version 2.30 offers important enhancements to rack-mount video and audio recorders. FUJIFILM Corporation has been awarded the distinguished "iF Design Award 2016"
Sony PXW-FS7 4K review: "Superb ergonomics"
At NAB 2015 Sound Devices unveil new recorders for field production. Sony SXS PRO+ C memory cards – optimized for 4K high frame rate shooting? Bliscom company at the exhibition "TV and Radio Fair 2012"
New sports channel "Hockey" was launched on the base of "Engineer-Service"
Synapse - Modular Interfacing catalogue, Axon 2008-2009. 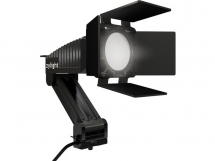 Sachtler camera support and reporter lighting catalogue. Sony Broadcast & Audio-Video General Catalogue 2007-2008. “Turn-key” solution of the MTV Ukraine. Changing of the phone numbers! Dealers agreement between Engineer-Service and SONY was signed. Panasonic has signed a three-year agreement with the Fox Entertainment Group. Panasonic catalog "HD Solution 2006-2007"
XenData Digital Archive managment systems.